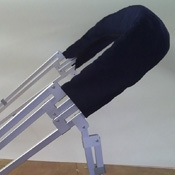 When it comes to installing the full snap on covers – as long as our cover is the original – these replacements will snap right on with only a handful that need to be moved. 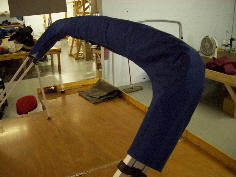 We include stainless pan head screws to fill in any holes for snaps in the boat that need to be moved. 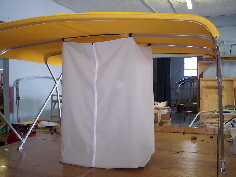 We also include new snaps for the boat as well. 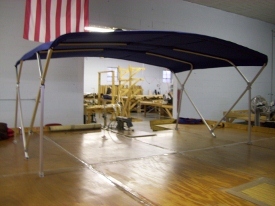 Covers include vent caps and cam locking adjustable poles. 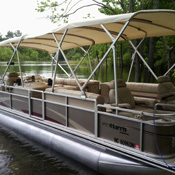 Exclusive for Manitou and Apex Pontoon Boats. 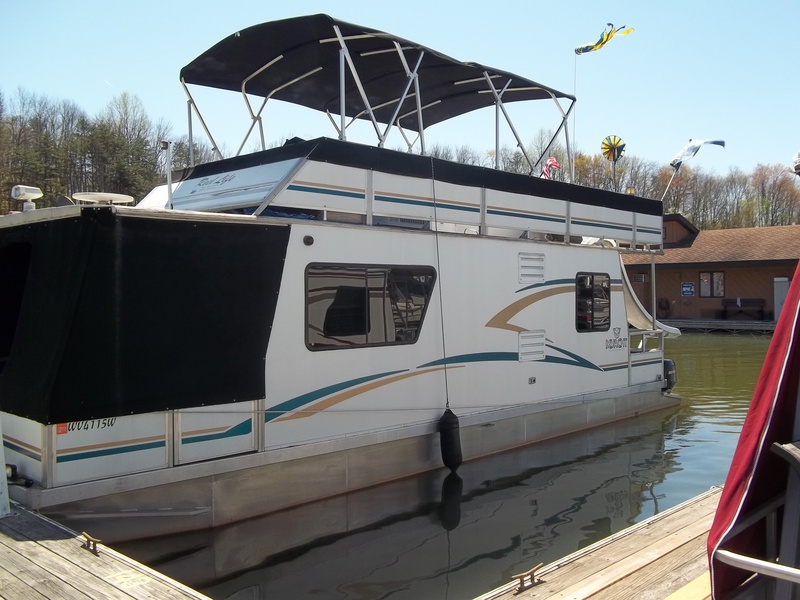 Full and half enclosures will extend your boating season. 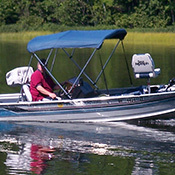 Zip up clear windows with screen allow you to keep cool and enjoy your pontoon far into the boating season and beyond. These enclosures zip on and button down to the boat. 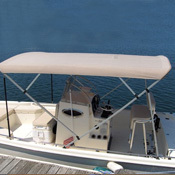 No need to take your boat somewhere to be outfitted for a new enclosure, just order from us and continue to enjoy your boat while we ship these items directly to your home – saving you time on the water and money in your pocketbook.